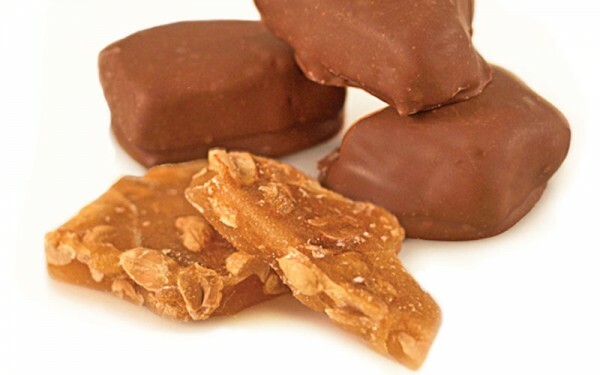 Australian peanut brittle coated in smooth milk chocolate. Milk Chocolate (sugar, milk solids, cocoa mass, emulsifiers (soya lecithin, 476), natural vanilla. Peanut brittle contains sugar, peanuts, glucose, honey and butter. Milk Chocolate contains 27%, milk solids 24%.Contains milk, honey, glucose syrup and soy. May contain traces of other nuts.